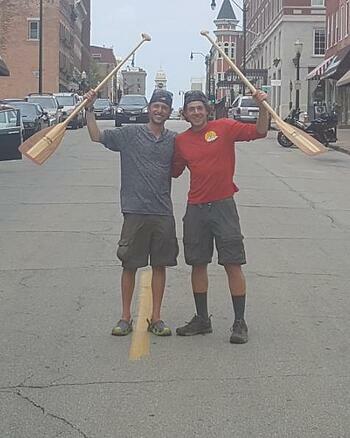 When my brother and I began doing research for this trip we uncovered a troubling realization; there isn’t much up to date information on canoeing the Mississippi River. In fact, there was such a void we based a lot of our research on a book written in the 1980’s. While Mississippi Solo was a great account of what it was like for a single black man to make the journey, it didn’t do much good in preparing us. So I’m taking it upon myself to jot down everything I’ve learned, with the hope of assisting the next set of travelers. The Mississippi Should Be Revered Not Feared- This is position number one because it is perhaps the most important. If you go about things the right way, the river will not harm you. I can’t tell you how many people we met who feared the river, and I believe it’s because they simply did not understand it. Everyone has heard of somebody who has drowned in it, and from that day forward they refused to go near the water. I’m not saying it can’t happen, but if you’re cautious you will not be in danger of becoming a statistic. This means wear your lifejacket, keep an eye on the storms, and always be aware of your surroundings. Don’t Listen to Everything the Locals Say- I’m not sure what’s in the water, but the people you met on the river are some of the kindest individuals to ever walk this earth. As part of their hospitality many will offer advice for your journey. Immediate river tips are often helpful, but you should really take most of what people say with a grain of salt. The river is constantly changing, and a lot of what you’ll hear is out of date. I’d say a good rule of thumb is to listen to them if it’s in a 10-mile radius of where you are. Anything past that you’ll want to make a note, but don’t hold it as gospel. The Myth of St. Louis- Here’s a perfect example of people not understanding the river. Everyone you meet on the Upper Mississippi will tell you all hell is going to break loose once you hit St. Louis. This is simply untrue. We had some of the best views and campsites once we got south of the port. Now I will warn you, the St. Louis port itself is a bit hairy. However, if you stay in the middle of the shipping lane, and then adjust with the current barge traffic, you should make it out without incident. Baton Rouge – I’m making Baton Rouge (or the Red Stick) its own bullet point, because if I had to do the trip again I would end it here. In full disclosure, we jumped out at New Orleans, but I can only imagine the final 95 miles (or so) are much of the same. From here on out the ships become A LOT bigger, and you’re basically canoeing through one giant port. No longer is camping easily accessible, and I can pretty much guarantee you’ll be trying to avoid tankers all day. More Walking Than Expected- If you’re like us, you’ll want to start your journey at the headwaters (Lake Itasca, Minnesota). While I’d encourage you to do this, it does come with a warning. Depending on when you go, much of the beginning of the river is only ankle deep. This means for the first three days (and a few ones intermittently after that) you’ll be walking along side your canoe. This isn’t the worst thing in the world if you don’t mind getting wet. 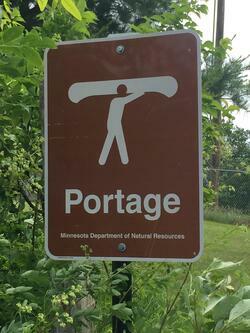 The real soul crusher is when you learn just how far of a walk each portage is. They range from 100 feet to a mile and a half! Not only will you be walking half a 5K, but most of the entry and exit points are found on rough terrain. 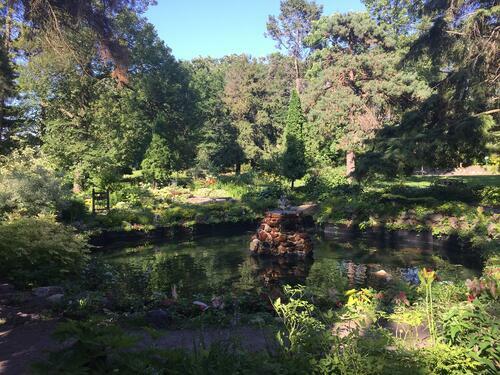 Once you hit Minneapolis it’s all locks and dams (we’ll get to those in a moment), but before that make sure you have your hiking boots handy. Where’s the Map- Before this adventure my brother was two years removed from hiking the Appalachian Trail. For that little walk in the woods he had come across a plethora of detailed maps. We figured why should the Mississippi River be any different? Spoiler alert, it was a complete 180! Minnesota does a great job graphing the river through their borders, but unfortunately they’re the only state that does this! Don’t expect to find a comprehensive map detailing your journey all the way down. The Army Core of Engineers can help fill in the gaps along the way, but we found our best resource was Google/Apple Maps. These will be especially helpful at the beginning when you’ll literally hit multiple forks in the road. Also, prior to setting sail I purchased a few boat navigation apps, but I didn’t use them once during the trip. 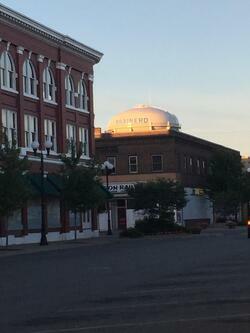 River Towns- While river towns are plentiful, there are two things you should keep in mind. For starters, once you pass St. Louis every gathering you encounter will be bunkered behind a levy or a flood wall. This can make them hard to spot, and provide less than ideal ground for getting out. During three separate occasions we actually blew past towns we were actively looking for. Secondly, if you plan to resupply in these micro cities, (and why wouldn’t you) make sure you note where the grocery stores/Walmarts are. Many are multiple miles off shore, and will require a car to get there (Uber, taxi, hitchhiking- you get the point). I’ll tell you right now do not plan to restock in Helena-West Helena, Arkansas. This area does not have a grocery store, and unfortunately they aren’t the only river town without one. The Real Dangers- As I said before, everyone you’ll meet out on the river will try and offer up a piece of advice. This includes the many, “dangers” of the trip. Here’s what you should make note of, and what can be ignored. Be Careful of: Lakes (storms can cause deadly waves), The Shipping Lanes, Tics, Minnesota Weather (it still gets down into the 30’s in late June), rough waters (caused by either storms, or the convergence of other rivers i.e. the Ohio and Missouri), and Recreational Boats (the path of these boats are often unpredictable). Don’t Worry About: Barges (as long as you stay out of the shipping lane), Alligators (they aren’t on the Mississippi proper), Asian Carp (you aren’t going fast enough for them to do any damage), and the Lock and Dam System (yes, you are allowed to go through free of charge. Simply canoe up to the rope and pull to gain access. However, don’t plan to breeze through these, a single barge passing through can be a two-hour wait). No Relaxation Here- I can’t tell you how many times we were asked, “It’s a fast current, cant you just sit back and be carried down the River?” That would be a resounding no. The current is quite fickle, and while it may push you ahead one moment, it will shove you backwards the next. Don’t even get me started on lock pools (the water right before the locks) where there is no current, and you can spend hours looking at the same piece of far off land. Your speed should pick up the further south you go, but don’t expect to just float down the river. In addition, many people will tell you how dangerous the current can be. I’m not here to argue with them, but we never felt unsafe getting in/out of the boat, nor once we started paddling. Where to Camp- Believe it or not camping is relatively easy to find. During your Minnesota stint you can line it up so each night you stay at an approved campsite. All of these won’t be winners, but they are all, “maintained” by the state. Our friends to the north constantly warned us camping would become limited once we reached St. Louis. However, that simply wasn’t the case. 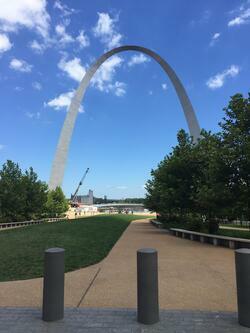 In fact, I’d argue we found better spots south of the unofficial halfway point (St. Louis). With all this being said, make sure you see what other information is out there. Having recently read Mark Twain’s Life on the Mississippi it appears the river is just as wild now as it was back then. By this I mean it’s a living, breathing thing that’s constantly changing. Islands we stayed on very well could have disappeared, and patches we found uneventful could now be a heart racing undertaking. Everyone’s experience with the river is unique, and that’s why it’s such a special journey. Which brings me to my final point (in my final blog post mind you); if you’ve ever thought about doing a trip like this (or any adventure at all), do it while you still can. I can’t tell you how many people approached us and said they had always wanted to do the same thing, but were sidetracked for one reason or another. Father Time waits for no one, so if you have the resources now get out there! I’m beyond thankful for this once in a lifetime trip. It was a surreal experience, and one which really put a lot of things into perspective. And that’s it folks! Thanks for following along. 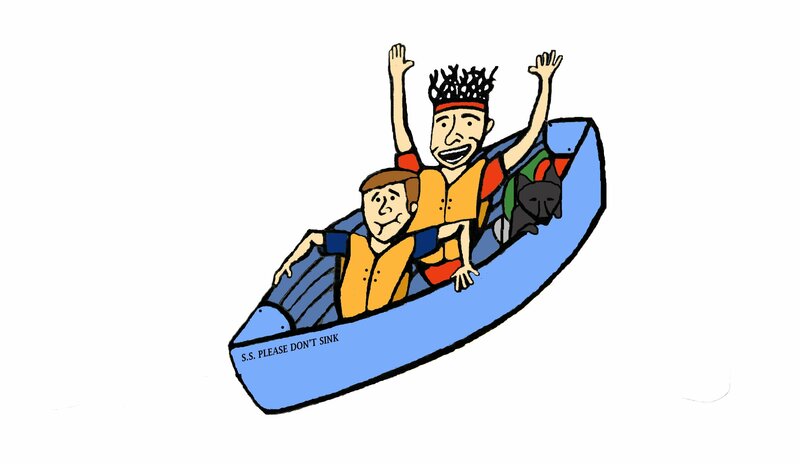 I hope we mildly entertained you during our adventure, and who knows maybe we even inspired you to jump into a canoe yourself! It’s been a remarkable journey, and I want to thank everyone who made this expedition possible (here’s looking at you Tom and Liz from NH). Also, I’d be foolish to not thank everyone who donated to the cause and helped smash our original goal of $2320 for cancer research. Finally, I want to give a special thank you to our guardian angel, Krista Ronai. There was more than one occasion where things could have and probably should have gone badly. However, each night we somehow found ourselves safely inside our tents. Krista, thank you for keeping an eye on us from heaven. I know our family and friends greatly appreciated it. To the rest of you I have but one (unpredictable) thing to say; Paddle On!